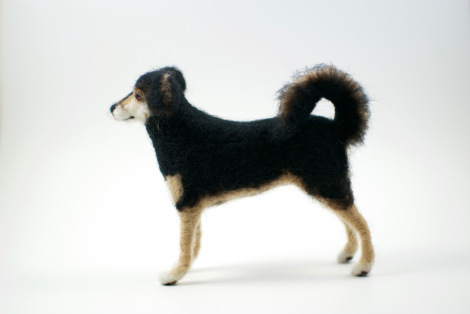 Me gustaría presentaros los maravillosos trabajos de Leonor, con sus hilos da vida, entre otros, a estos perros personalizados, pequeñas obras de arte. 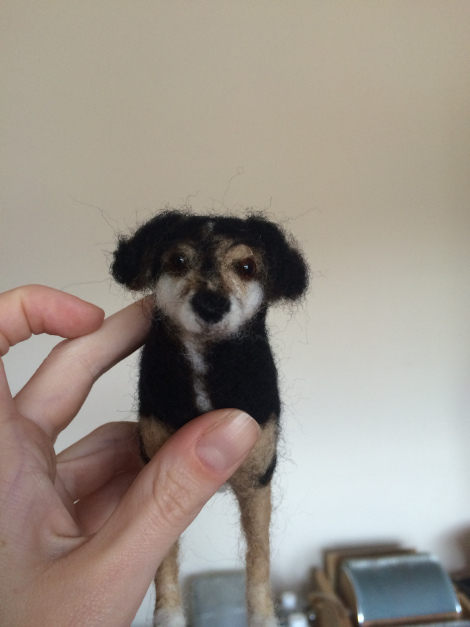 If you’ve been around for a while, you might know I specialise in making little needle felted dogs. Each one takes a long while to finish, but I do love my work and just feel over the moon when I hear back from happy customers. Can you imagine, then, how I feel when I have repeat customers? 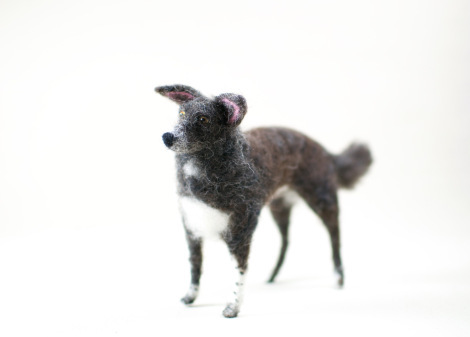 I’d made a pet memorial for this lovely lady before, a dog named Mica. 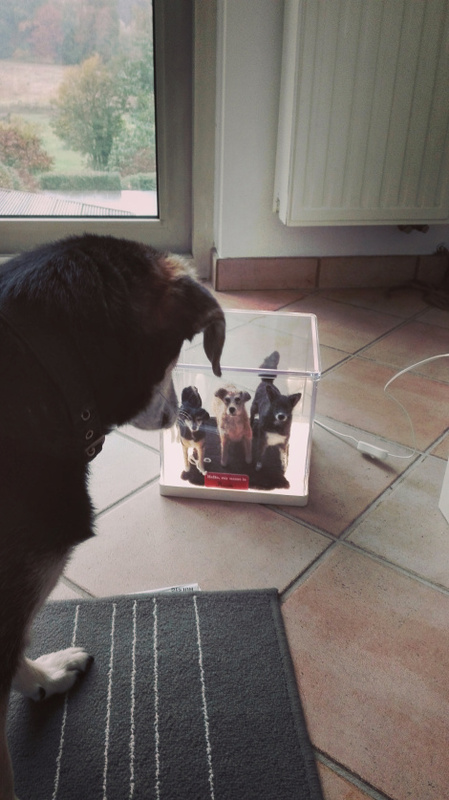 A few months later, she felt it was time to honour her other girls, Dolly and Juca. I was more than glad to oblige. Look at this photo – one of the girls is admiring herself. Can you imagine what’s going on in her mind at this moment? It is an extraordinary work, are small and perfect copies. Three new friends to play with them … is a tempting adventure, difficult to say no. I really love these little dogs, they seem so real !! They are true works of art by Leonor, she works in London. Thank you very much, have a good start to the week Irene. I agree, they seem so very real Belén. Enjoy a new and wonderful week. 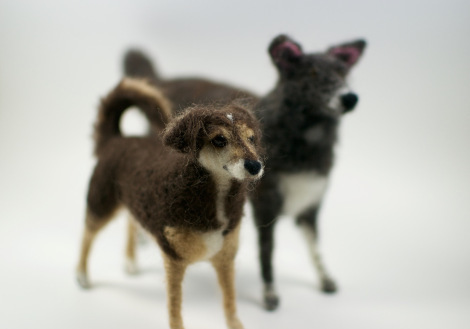 Your Felted Dogs are great, I love them !! I really love the work of this young artist, it’s great !!! Totalmente de acuerdo…son obras maestras con ese realismo y detallismo. Muchas gracias … y buen inicio de semana. That is amazing. They look so perfect! They are perfect copies, is a collection of wonderful works, she is an amazing artist ! Thank you dear Resa, I’m glad you like them. I love those little dogs! I never saw anything like it before. 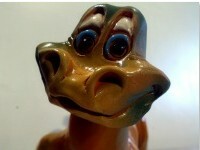 & I too would like to play all day like Dino juguetón! Waow ! Lovely and so realistics. I love these small works, I impressed by the attention to detail, they are so realistic !! Es como si un mago travieso los hubiese reducido de tamaño, perfectas copias del perro original, pero en miniatura, me encantan las obras de Leonor, me parece tan complicado crear estas piezas a partir de hilos … es genial!! Muchas gracias y feliz semana. I first thought it was….. Thanks Sheldon, have a good start to the week !!! Thanks to you Leonor, for your lovely work !! I wish you a happy and productive week. They are amazing! Such precision and likeness. Great job!